Today’s Midweek Special focuses on a Theft which took place in Grandview Heights. 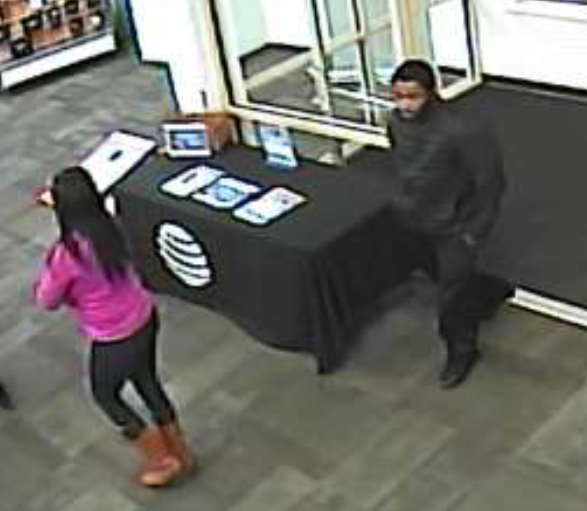 On Thursday, January 3, 2019, a female victim reported that she was made aware of a fraudulent account that was set-up with AT&T using her personal identifying information. It was discovered that on December 6, 2018, the suspect(s) charged several thousand dollars in new iPhones from an AT&T store to the victim. 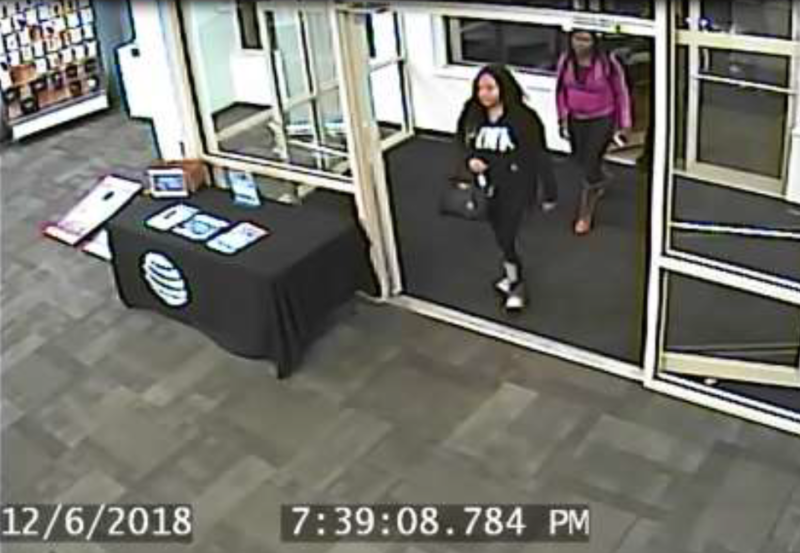 Surveillance video was obtained from the AT&T store which shows three individuals entering the business and making the purchase. 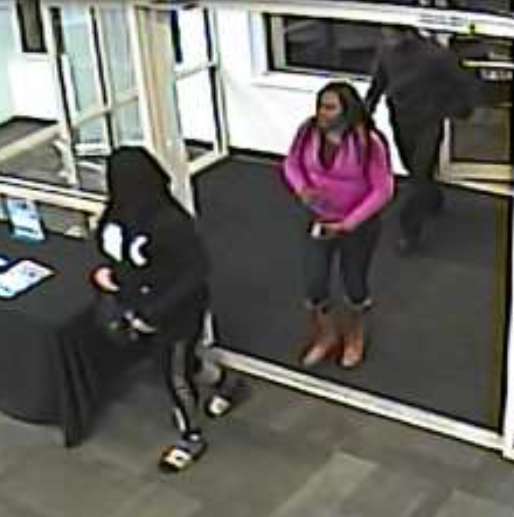 A surveillance photo of the suspects may be viewed on our website, www.stopcrime.org. 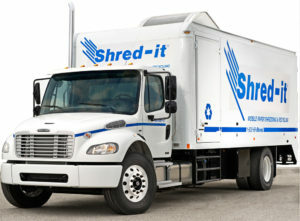 Crime Stoppers is offering a cash reward for any information leading to the arrest and/or indictment of the person(s) responsible for this crime. Anyone with information is asked to call Crime Stoppers at 614-461-TIPS (8477) or go to our website at www.stopcrime.org and e-mail your tip. You may also submit a tip by downloading our new free P3 Tips mobile app available on the iOS and Android platforms. We are no longer taking tips via text message. All tips to Crime Stoppers are anonymous. Crime Stoppers does not use Caller ID or record telephone conversations. A special coding system protects the identity of the caller. Crime Stoppers also takes calls from persons with information about any felony. Information leading to the arrest and/or indictment of a felony suspect could qualify the caller for a reward as determined by the Crime Stoppers Board of Directors. For more information on Central Ohio Crime Stoppers, visit our website at www.stopcrime.org. Crime Stoppers is a non-profit 501(c) (3) organization. Reward money comes from private individuals, businesses, and foundations that see Crime Stoppers as an integral tool in the community’s fight against crime. Tax-deductible donations can be sent to Central Ohio Crime Stopper’s, Inc., P.O. Box 16038, Columbus, OH 43216-6038.